DC Universe has been making waves lately with their exclusive shows Titans and Young Justice: Outsiders, which have been critically well-received. 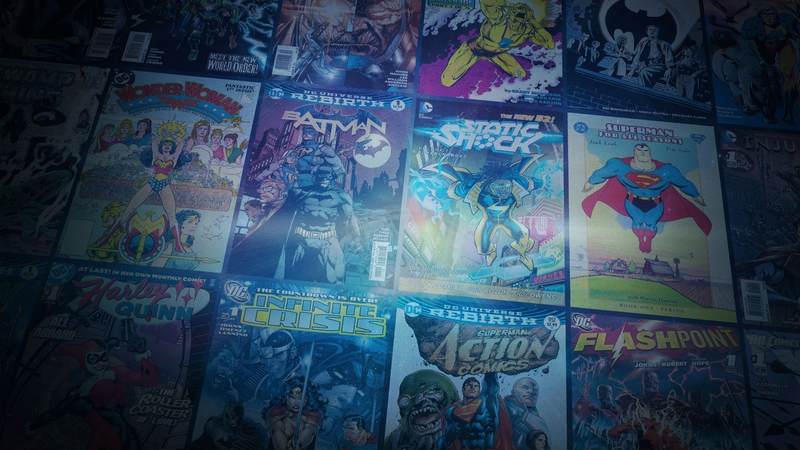 However, a feature of the service often overlooked is the ability to read back issues of various DC Comics. The selection is a little limited and tends to follow whatever is being promoted in other media. When Titans was running new episodes, it was very heavy on key stories featuring those characters. However, there have been a few gems. My favorite is the Prez series from 2015. Today, the service announced an expansion of the comics library, with a promise of further expansion in the coming weeks. For comic fans, it’s welcome news. To their credit, they even released a full list of the titles added. Amidst the Superman sagas included are such contemporary classics as writer Jeph Loeb and artist Tim Sale’s Superman for All Seasons, writer Kurt Busiek’s Superman: Secret Identity, writer Brian Azzarello and artist Jim Lee’s Superman: For Tomorrow, and the Rebirth era’s The Oz Effect. Batman epics include writer Scott Snyder’s The Court of Owls, Tom King’s The War of Jokes and Riddles, and Grant Morrison’s Batman: R.I.P. and Batman: Incorporated vol. 1 and Batman: Incorporated vol. 2. In addition, we’ve got Snyder’s The Black Mirror, last year’s Dark Nights: Metal tie-in Dark Knights Rising, and writers Ed Brubaker and Greg Rucka’s Gotham Central. Plus, we have both the 2000 Harley Quinn and 2013 Harley Quinn series! Other Justice Leaguers getting the spotlight include Wonder Woman, in Greg Rucka’s 2016 run on the Amazon Princess’ Rebirth title (comprised of “The Lies”, “Year One”, and “The Truth”); Green Lantern Hal Jordan in 2004’s Green Lantern: Rebirth; Oliver Queen in Green Arrow: The Archer’s Quest; and the Flash-centric game changer Flashpoint. You can also enjoy the Justice League storylines Identity Crisis, The Darkseid War, and The Extinction Machines — and the landmark Infinite Crisis. Other much-loved titles include Alan Moore’s run on Swamp Thing (which continues the writer’s The Saga of the Swamp Thing) and Tom King’s The Omega Men. You can check out the full list of today’s comic offerings below. Also, don’t forget to participate in our latest poll, which goes live on Monday, February 4th at 9AM PST, and let us know your favorite Saturday morning animated version of the Joker. For more fun with Mister J, you can celebrate Valentine’s Day with our “Harls and Puddin’s Mad Love Sweepstakes”, running from Friday, February 1st, to Friday, February 15th. Enjoy!